Raise your glass to friends and family! 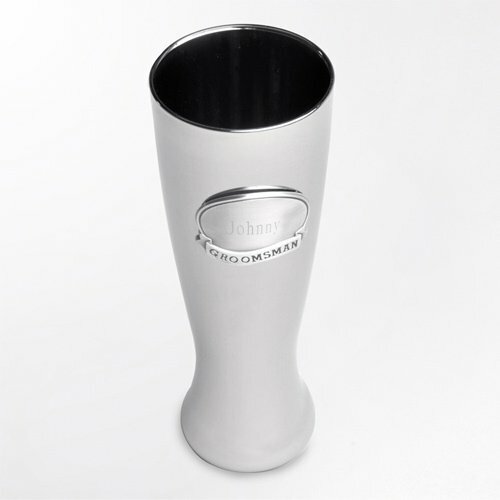 This sleek and classy pilsner glass looks like metal but is really glass coated with a thin, shiny metal finish. 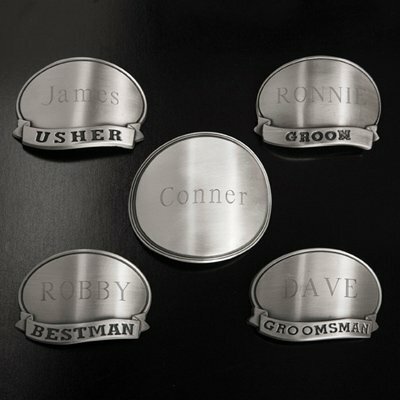 The perfect gift for all the men in your wedding party, choose from our 5 pewter medallion options and personalize each one with 2 lines of text. 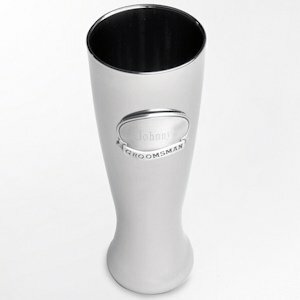 Pilsner holds 20 ounces and measures 9" tall.